Mount Meru, Tanzania. In the foreground my local patch the Monduli Gap. Photo taken at the end of the short rains and beginning of the current ENSO neutral period. 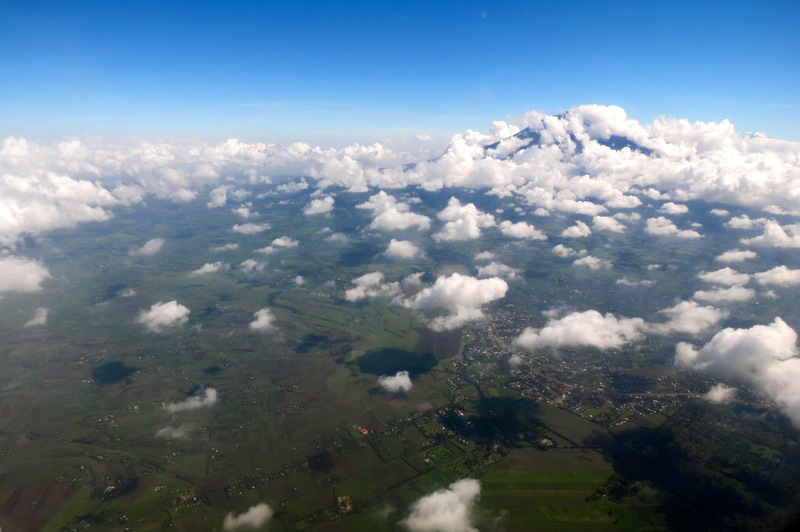 From an international flight on its approach to Kilimanjaro from Nairobi, December 21, 2013. Are there easily observed birds whose fluctuating status exposes changes in the underlying ecological circumstances – revealing the true health – of an environment, be it a village, a district, or a nation? Apart from at the freezing Poles I suggest that we should look at Swifts and Swallows! Now you may think this a wee bit perverse. After all these are not creatures of the terrestrial environment. 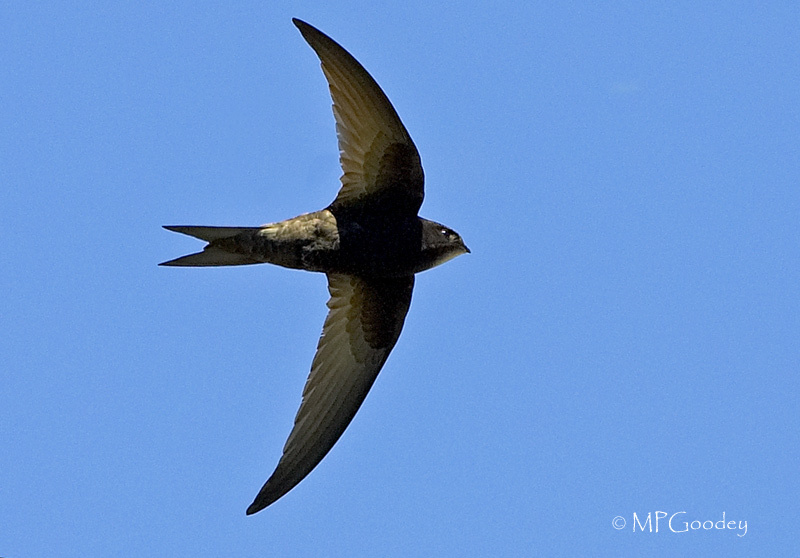 They are aerial feeders and they seldom or never – in the case of swifts – forage on the ground. Every species in each of these two families feeds on airborne invertebrates. However when they are attending to their young, especially when the young are in the nest, they must forage relatively close to the nest site. All the insects, and other aerial invertebrates, that the swifts and swallows capture have drifted or been blown from the forest, the fields and scrub, the marshes and crops, even from the cities and deserts down below. Admittedly some of these food items will have been transported a considerable distance on the wind. Another reason to chose swallows and swifts is that investigating their status and distribution, in a small area, is comparatively easy. They cannot hide. So it is easy when compared with studying skulking forest birds for example. I have lived for much of the last decade in the tropics, on the plateau of East Africa at a kilometre and a half above sea level, and so I have been able to look for swifts and swallows every day, and throughout each year. Swifts and the swallows are highly mobile precisely because they have evolved to exploit seasonal changes in the spatial abundance of aerial invertebrates. They must find all their insects and also drifting airborne spiderlings etc., hour by hour, day by day, season by season and year after year. Many are long distance migrants, yet often they chose to build their nests on our buildings, so that their arrival and departure helps confirm for us earthbound human observers the annual cycle of the seasons. Consequently some of these birds, the swallows especially, have become our domestic companions during the most ecologically productive season, that in English we call summer. So they are very popular birds, not just with birders but also with the general public. A Barn Swallow rests during migration on the Isles of Scilly. Picture: Martin Goodey. The presence or absence, and the comparative abundance of these birds in the course of a year, in East Africa at least, reveals that it the seasonality of rainfall that is the driver. Rainfall largely determines soil moisture. Hence it determines the phenology of flowering and leafy growth and thus the abundance of herbivorous insects and their arthropod predators. The swifts and swallows are expertly tracking fluctuations in this invertebrate life after it has become airborne. And this zoo-plankton, often barely visible, is a measure of nature’s productivity below. Moreover the daily presence or absence of swifts, swallows and martins should be an obvious phenomenon for anyone who is aware of profound seasonality, as here in the savanna zones of sub-Saharan Africa. Our district, Mount Meru, lies just three degrees south of the equator. It experiences two rainy seasons. Typically there is a shorter lighter one in November and December, and a longer one between March and early June. Being in the southern hemisphere the coldest and usually the driest period is July and August. Our warmest and then wettest periods fall between February and May. Invertebrate abundance and activity peaks before and after the height of each of these two rainy seasons. The biological year begins, one might argue, with the arrival of the Short Rains in November. Each year at some point in the eight weeks or so leading up to the December Solstice, an immense snaking chain of thunderstorms, known to meteorologists as the Inter-Tropical Front (ITF – formerly the ITCZ), rolls southwards from the Equator across Africa toward the Tropic of Capricorn. It follows the apparent celestial position of the sun. Out of these quenching rains, that dispel three to seven months of drought, a stupendous volume of flying insects, and other tiny airborne life forms, bursts forth. And as a direct consequence of this emergence, a surge of larger, even predatory, insects (such as dragonflies) and of birds not least swifts swallows and martins, including Common Swifts, Barn Swallows and Common House Martins (from Eurasia) pours southward in front of, within and behind the towering thunderstorms. A Common Swift in the Isles of Scilly (off the south western coast of Britain) doubtless recently arrived, after a month long northbound stop-over above the humid forests of Liberia, West Africa. In Tanzania such migratory movements of swifts, swallows and martins may be intercepted anywhere from the Mara river, at the northern border, south and east across the freshly greening sward of the ‘Serengeti mammal park’ and the flamingo-studded salt flats of Lakes Natron, Manyara and Eyasi, down into the great trench of the Rift Valley and out over the central steppes of Masailand away into the great Miombo zone beyond. A few years back, in the Rift Valley to the south of Natron at the boreal winter solstice, and over a period of several days, we were able to watch mixed species assemblies of many thousands of swifts. They were divided into smaller flocks, typically a few hundred in each. They were feeding either just above the ground in tight swirling tornados of soot black darts or in rangy bands, broad and deep, careering overhead. Day after day the flocks progressed fairly steadily southwards, ahead of the grey crescents of rain pushing from north-west to southeast across the valley. The Common Swifts in these foraging flocks frequently screamed, as did the Nyanza Swifts accompanying them, the latter were most likely locally breeding birds. Both species appear to become more widespread across our swathe of East Africa in December-January i.e. toward the end of the short rains. Of course these birds are more obvious at lower levels, when foraging over the freshly greening pastures of Maasai land for example. They are especially conspicuous when feeding along, and above, the western wall of the Great Rift Valley, immediately north of Lake Manyara, and also in the north east of the Serengeti ecosystem. 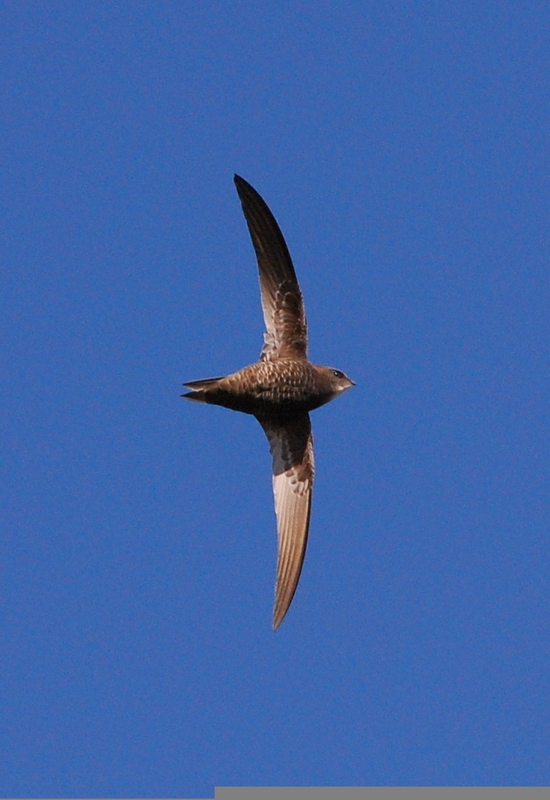 It is usually early November before we see good numbers of the three swifts who have white rumps. Of these the Horus Swift and African White-rumped Swift are almost completely absent from the Mount Meru region between late June and November. The white-rumps return as soon as the Lesser Striped and Red-rumped Swallows start building their spouted mud pellet nests – presumably to keep an eye on them, as that is where the swifts in turn will nest. Horus Swifts over a “bee-eater” breeding site in a korongo in Arusha National Park. The chunkier, yet nevertheless dashing, Horus Swift, also returns in big numbers during November, and they are soon at their colonies in the seasonally evacuated burrows of the White-fronted Bee-eater dug into the clayey walls of of our steep-sided korongos or wadis. Unfortunately several colonies of these two hot-bedding species (the bee-eater and the swift) have been destroyed by Chinese engineering companies, EU-funded, who are modernising the highways. This work has been on-going for the last three years, the highway past Mount Meru is constantly being refurbished. This is because it is a crucial road for the development of Africa. It reaches inland from new ports on the coast at Tanga and Dar es Salaam past Arusha to Nairobi then through Uganda to its goal, the resource-laden forests of the Congo. Earth’s last true life-rich wilderness and capitalism’s final frontier. 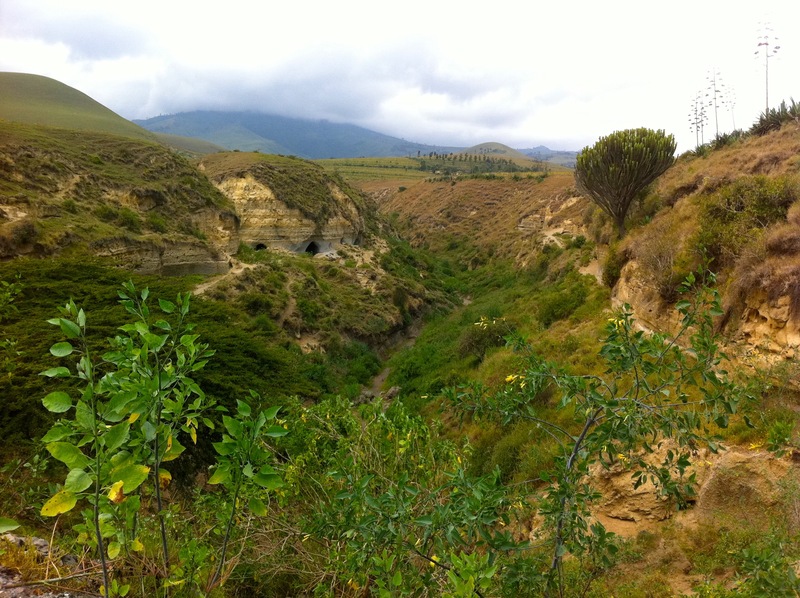 A sparsely vegetated korongo, a breeding site of Horus Swift, on the western slopes of Mount Meru beside the Nairobi-Dar highway. Often it is not until Christmas that Little Swifts become abundant over the rapidly growing towns of East Africa, south of the Equator. Clearly they are benefitting from the proliferation of suitable nest sites on multi-storey, cement-rich buildings – hotels, offices, factories – now springing-up all over the region. In damp and cloudy weather, at any time of year, one may search around Mount Meru for Scarce Swifts. They breed high on the mountain, but do forage down below, where we can see them, in small flocks, rarely in excess of twenty, at most thirty, and typically far fewer. Between October and April, especially in wet conditions when termites hatch, they may be observed feeding over well-timbered areas, frequently together with worn and moulting Eurasian House Martins. 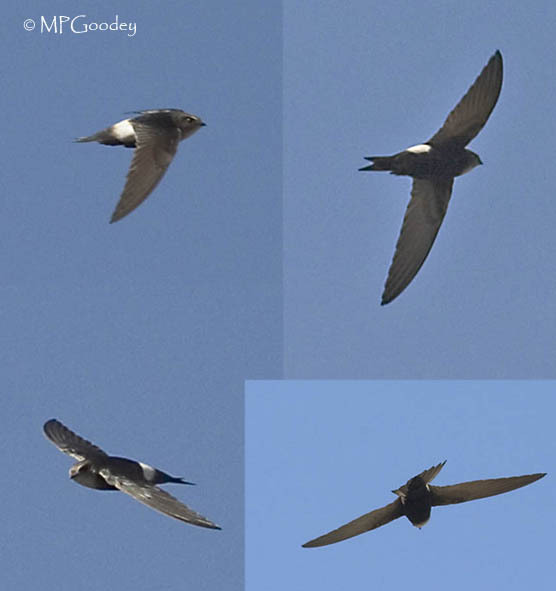 Although they are drop–bow winged, and thus superficially similar to a dark-looking, short-tailed African Palm Swift, they have a fluttering foraging flight action which is quite similar to the martins. They are perhaps most reliably seen around sunset, here over the renaissance jungle of my Mount Meru garden, in Arusha’s shamba-slum-suburbia. A delight to watch: circling, rising quickly – to catch an insect – then drifting back downwards on the breeze. African Palm Swifts, Alpine and Mottled Swifts can be seen at lower levels around Mount Meru almost throughout the year. However as regards the Big Two it is at Christmas ironically that they seem to be least frequent. At this time few are to be seen compared with a relative abundance of these magnificent beasts, particularly over the Monduli valley coffee farms, during the late dry season in early August through October. Perhaps the larger number of birds that we see in the Monduli Gap during the “long, cool and dry” are recently arrived, from distant non-breeding areas. And they are prospecting, at their nest sites, in the great cliff faces high on Mount Meru or even on Kilimanjaro. At least, with respect to these two big Tachymarptis species, that’s what I suspect! A first calendar year Mottled Swift photographed by Alistair Kilpin at Klein’s Camp in the north eastern Serengeti. In the dry season, especially in the drier years, most of the swallow and martin species – the Hirundines – become localised within my birding patches around Mount Meru. In July-August at Burka Coffee Estate, for example, only the Wire-tailed Swallow can be expected, and they are usually only in the vicinity of the coffee-sludge settling ponds. one might say that this paucity of hirundines is harrowing, between the start of July and the end of October, one of the least pleasant aspects of our cool dry season! At such times the few irrigated areas hereabouts, such as the lush lucerne fields of Mringa Estate, provide a late dry season and drought-resistant refuge for many insects and thus are a magnet for most swallow species. As an example, for several days during November 2011 I saw nearly fifty Red-rumped Swallows over a single large lucerne field, this was at the height of our latest protracted La Niña sequence. The numbers of adults of Brown-throated Martin, of emini Red-rumped Swallow and of Lesser Striped Swallow usually seems to peak between October and mid November, presumably this is because birds are assembling immediately prior to the anticipated onset of the short rains and the start of their breeding season. 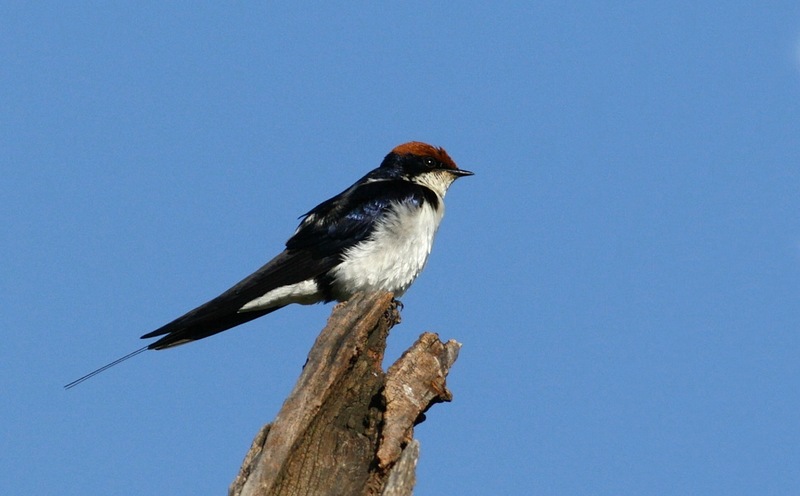 In the drought conditions of La Niña years the Wire-tailed Swallow, which utilises artificial water sources such as sludge ponds and swimming pools, is the only hirundine species which can be ‘daily guaranteed’ between mid July and early October within the suburban periphery of Arusha. Incidentally it seems that concentrations of wintering Barn Swallows from the Palearctic (none breed here) became more patchily distributed around Mount Meru during the course of the last seven dry La Niña years, thankfully now passed! 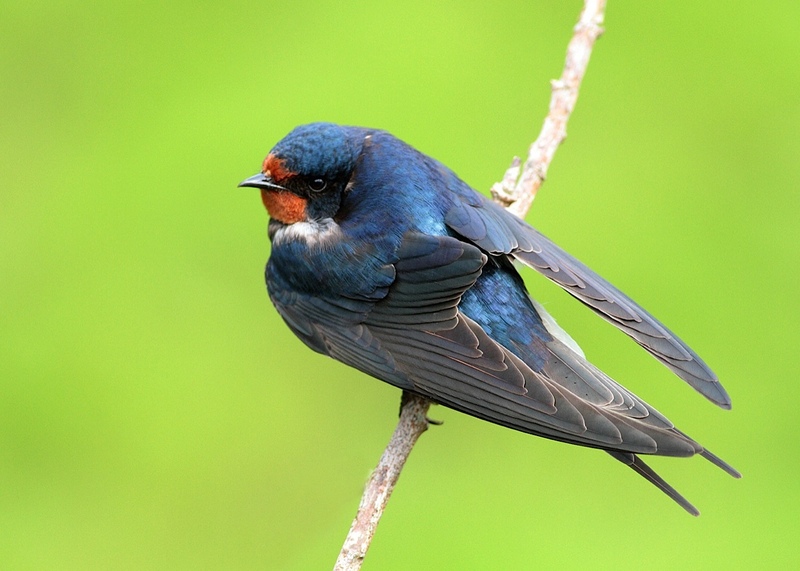 I would even dare to say that for me the cosmopolitan Barn Swallow became disturbingly scarce around Mount Meru, apart from at peak migration periods, especially in the middle of the boreal winter period. 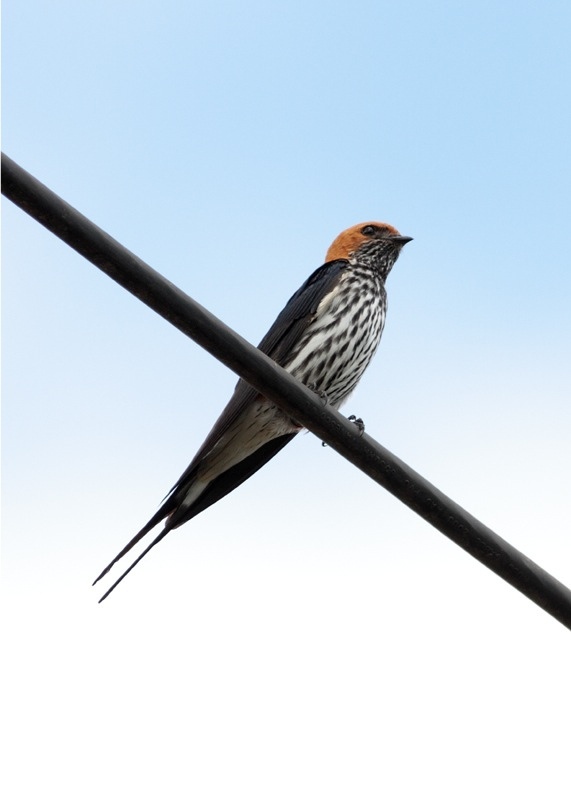 Lesser Striped Swallow is the commonest breeding hirundine in the Monduli Gap. During El Niño events they are present all year. However during protracted La Niña periods, as between 2007 and 2013, they become scarce, especially during the “cool dry season” which in a La Niña lasts from June to November. In summary, the number and diversity of swift and swallow species foraging over the farmed and wooded landscape that cloak the foothills of Mount Meru, and the valley of the Monduli Gap, broadly reflect the prevailing climatic situation and local weather conditions. In wetter years, that is when we experience a Pacific El Niño and/or a positive Indian Ocean Dipole, and sea surface temperature anomalies become positive off East Africa i.e. warmer, (a PIOD is a similar but non-synchronised oscillatory event to an El Niño but involving the surface currents of the Indian Ocean), green vegetation is both more abundant and widespread so that we see many more swifts, swallow and martins. At such times they are certainly more widely spread, and are present for longer periods, than they are in the drier years that are caused by a definite La Niña event and/or a negative Indian Ocean Dipole. 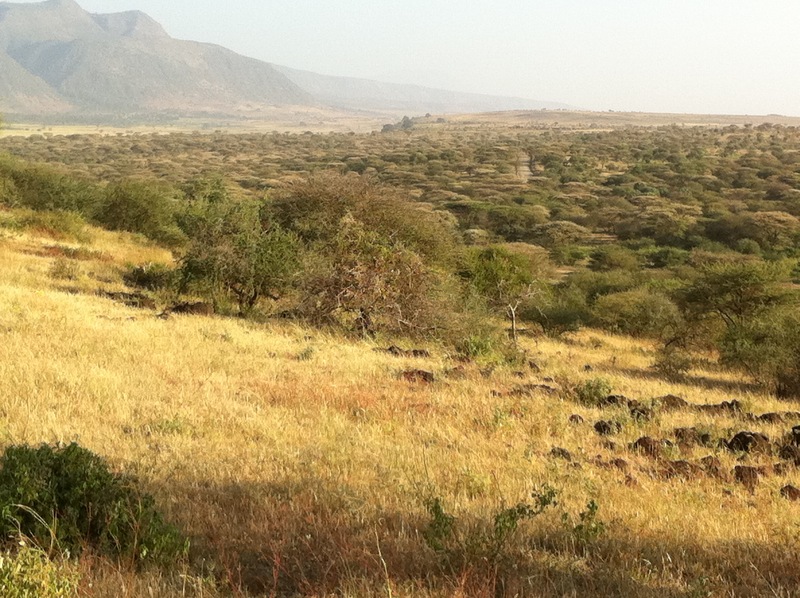 Masai wood pasture and buffalo-grazed hill forest above 1500 metres cloak the extensive ridges of Monduli mountain (west of Mount Meru) in northern Tanzania. 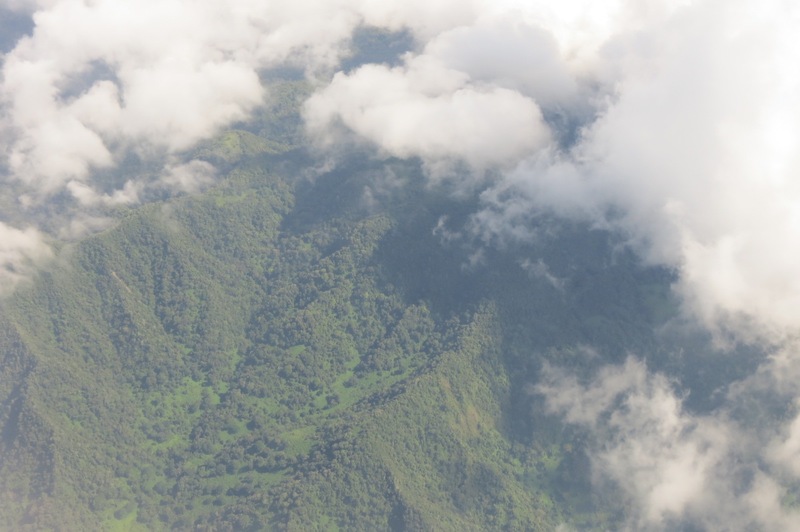 Afromontane hill forest, such as this, supports a diversity of aerial insectivores including semi-resident Nyanza, Alpine, Mottled and Scarce Swift plus Common Swift in season. In Africa evergreen forest and wood pasture at moderate elevations (between 1500 and 3000 metres) is the primary foraging biome for the Common House Martin. I feel that an annual naturalist’s investigation of how variations in global environmental factors, such as the El Niño Southern Oscillation (ENSO), contribute to the ecological dynamics of tropical Africa would be a very useful exercise. We live in fluctuating regional ecological conditions, yet these conditions are inextricably linked to oscillations in the combined currents of the oceans-and-atmosphere. Global phenomena that evolve independently of the more obvious anthropogenic influences upon nature, on the ground, here in Africa. These conditions are encountered by all the migrant birds from the Palearctic that winter in Africa. Billions of feathered bundles of life, on journeys of up to nine months in a year, incredible both in endurance and diversity. African journeys whose scope extends from Tangier to Table Mountain, and from the Cape Verde Islands eastwards across the immensity of sub-Saharan Africa all the way to Socotra and the ocean beyond. The increasingly urbanised, sanitised and ecologically sterile lowlands of western Europe – not to say toxic. 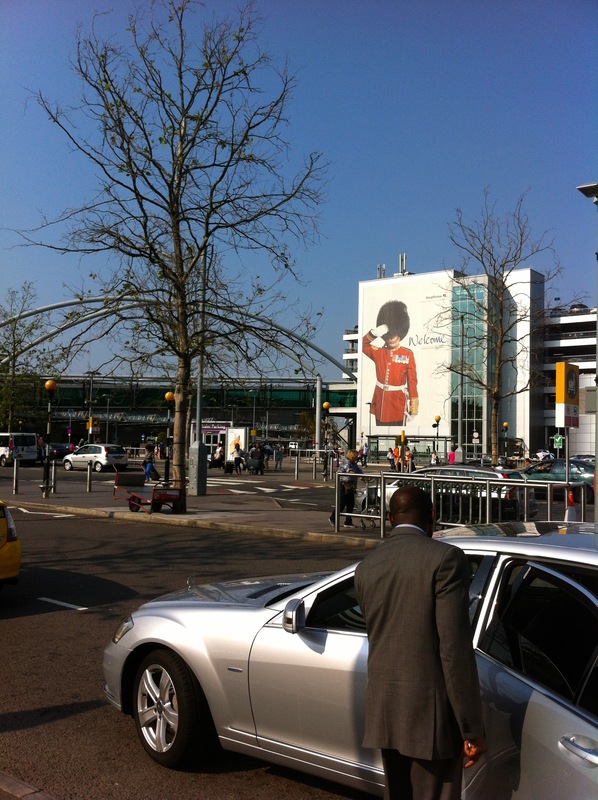 This is Heathrow Airport, in the former county of Middlesex (the first in England to lose the Rook), one sunny afternoon in late July 2013. 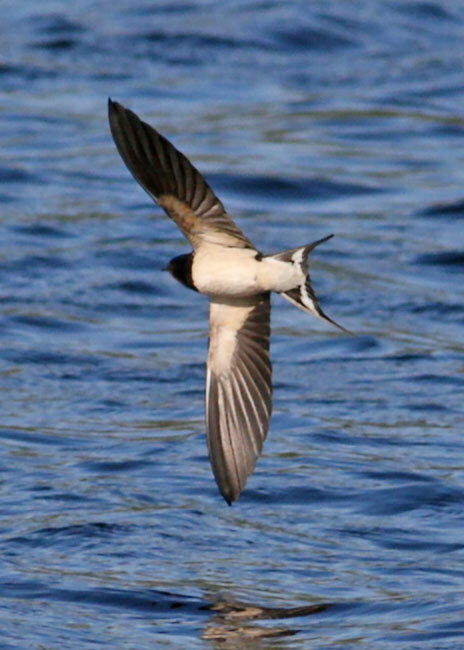 In summer these days there are comparatively few Common Swifts or Common House Martins in the ‘great air space’ above London – apart from in the vicinity of the reservoirs. Strange that!